The R-XSR is the smallest full-telemetry SBUS receiver that you can get from Frsky. The FrSky R-XSR 2.4GHz 16CH ACCST Micro Receiver w/ S-Bus & CPPM is perfect for small builds 190mm down to Tinywhoop size. 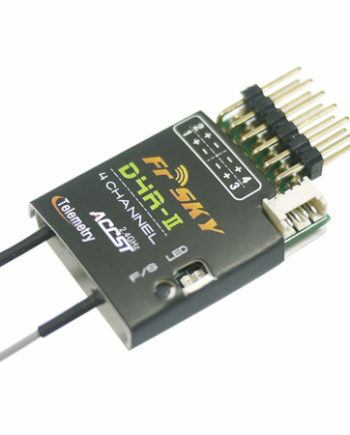 FrSky R-XSR 2.4GHz 16CH ACCST Micro Receiver w/ S-Bus & CPPM. The FrSky R-XSR 2.4GHz 16CH ACCST Micro Receiver w/ S-Bus & CPPM is the evolution of FrSky full range XSR receiver. The R-XSR is a standalone receiver with all the functions of XSR, in addition, it’s almost 1/3 size and 1/3 weight of XSR receiver. Moreover, there redundancy function is integrated into this tiny receiver ensures the security, and the IPEX connector makes it more convenient for you to replace antennas.